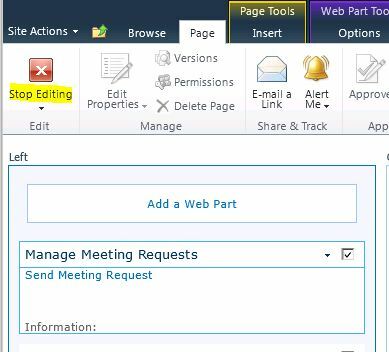 Meeting Requests can only be send through from a Meeting Workspace in this project.So you have to select checkbox of workspace. 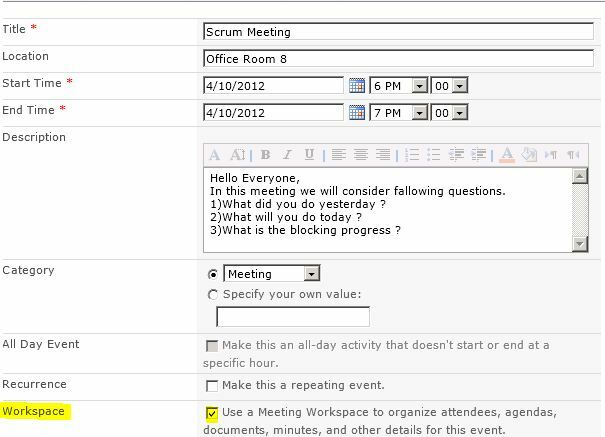 If you have already a created Meeting WorkSpace select that one. 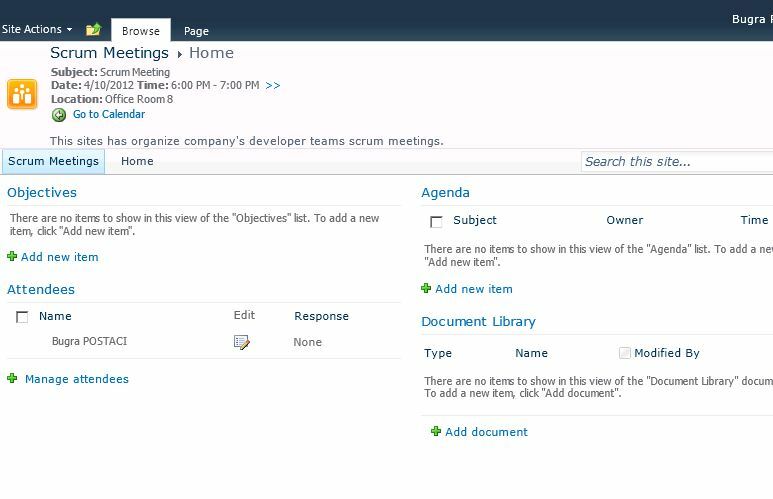 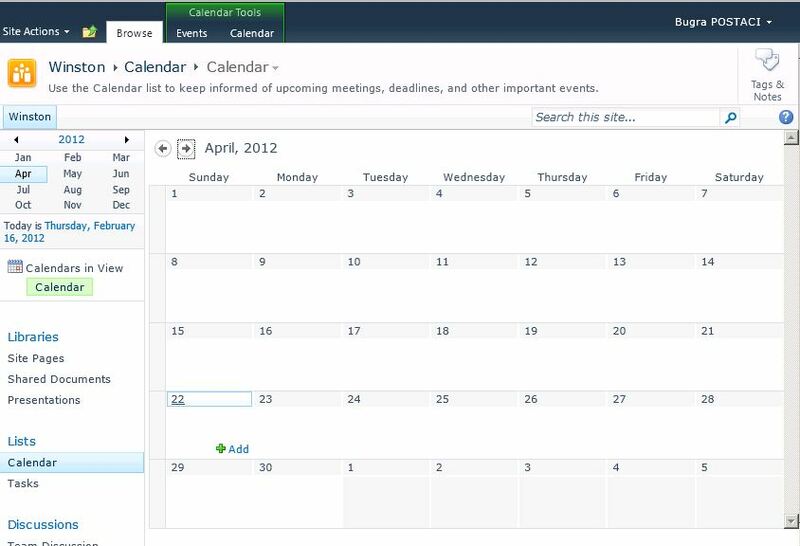 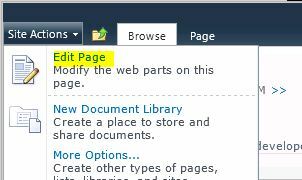 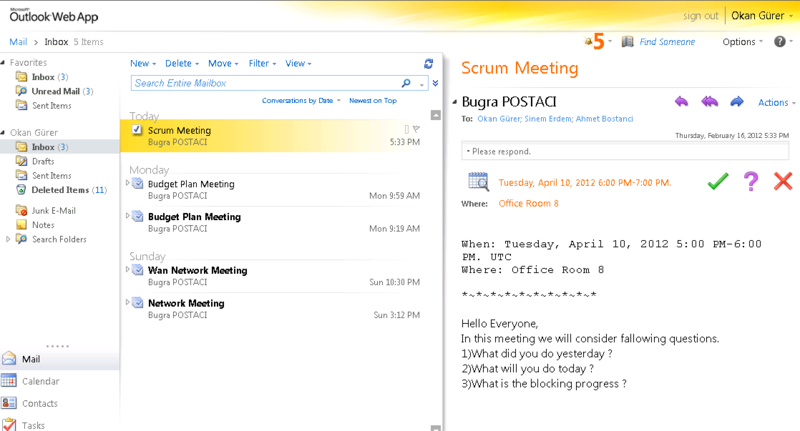 4) The Meeting Workspace home page opens automatically. 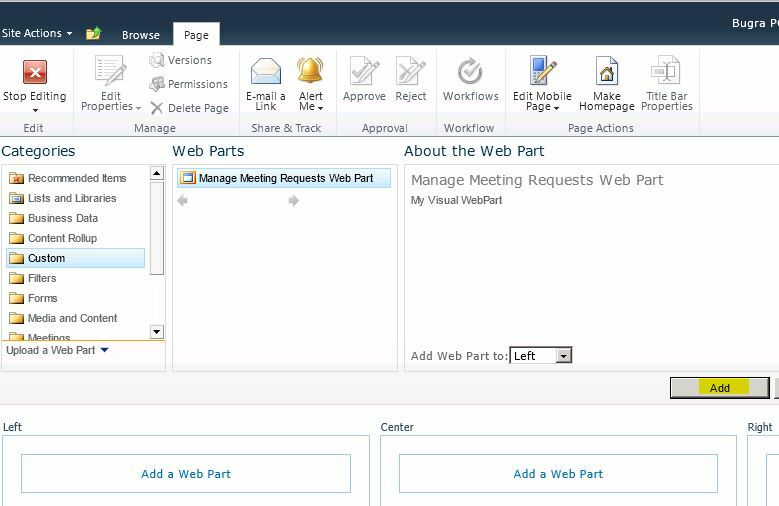 If you able to send a meeting request successfully the gui has changes and information message shown that confirm your Meeting Request has been sent successfully. 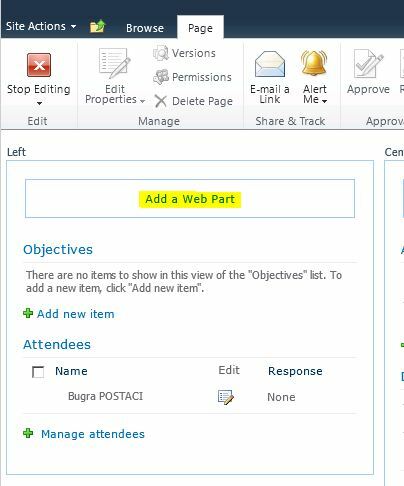 There is only 4 feature implemented in this project. 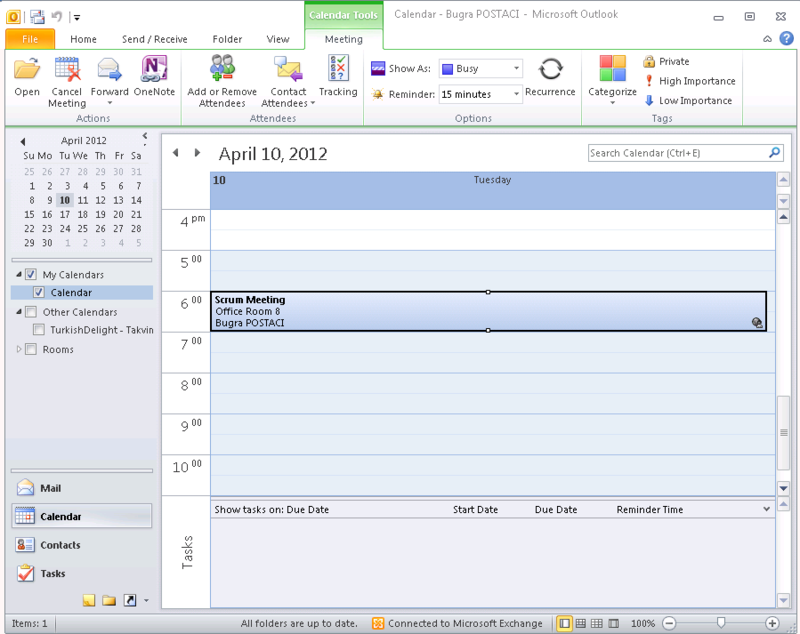 9) Check Your Outlook and Clients for confirmation .